This painting of Fish and Flowers utilizes design ques from Asian art, Chinese painting compositions and contemporary Japanese tattoo designs. The painting also examines the various types of marks made on these compostions. 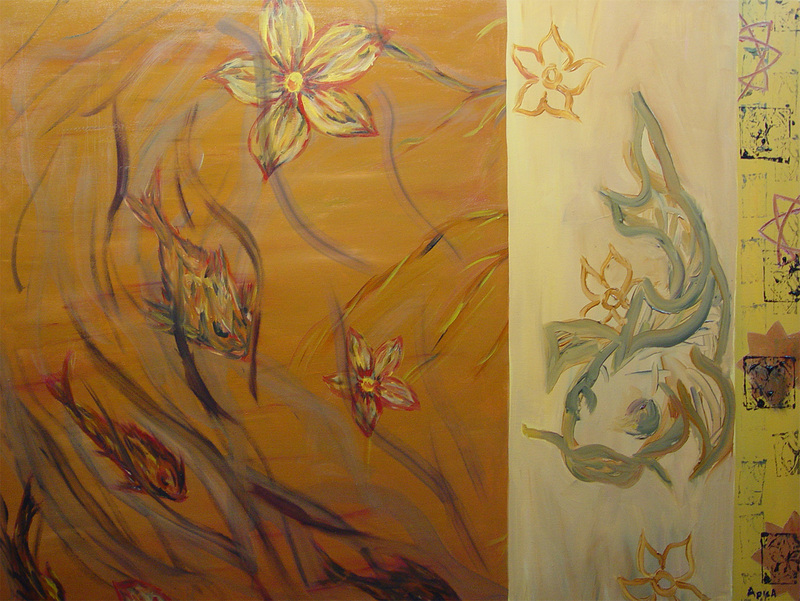 Brush strokes are loose to bind the compostion and emphasize it's own identity as being a painting.